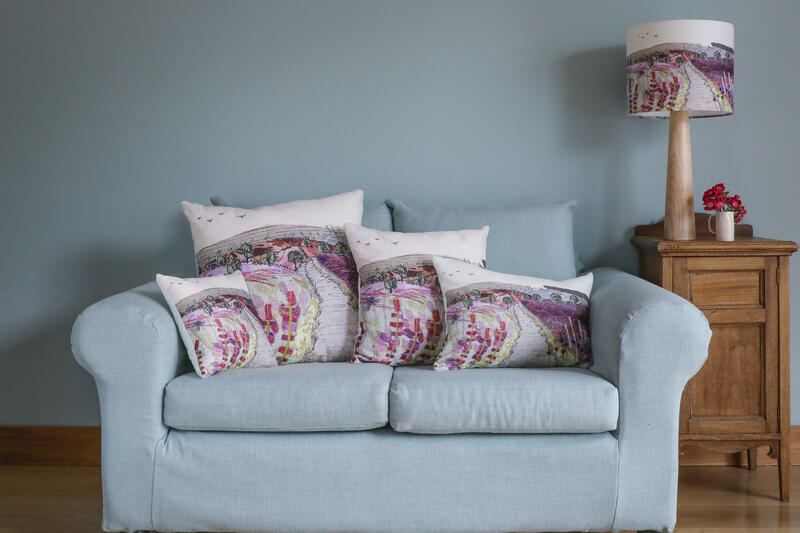 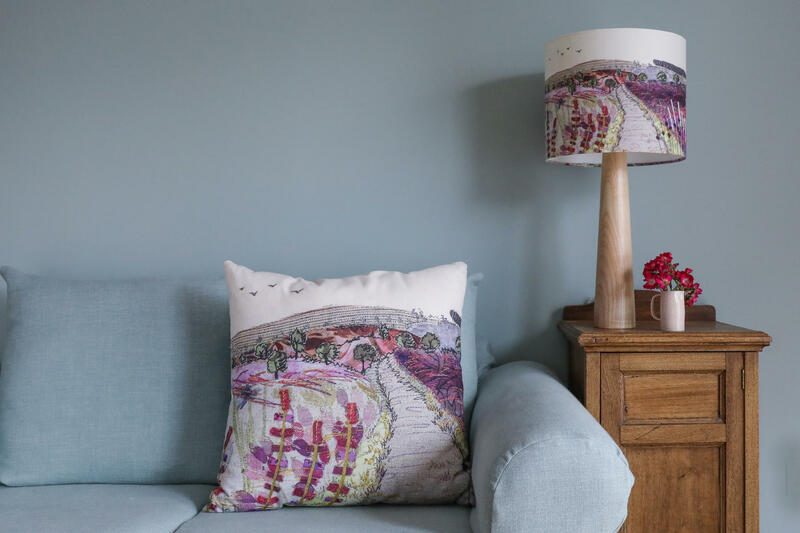 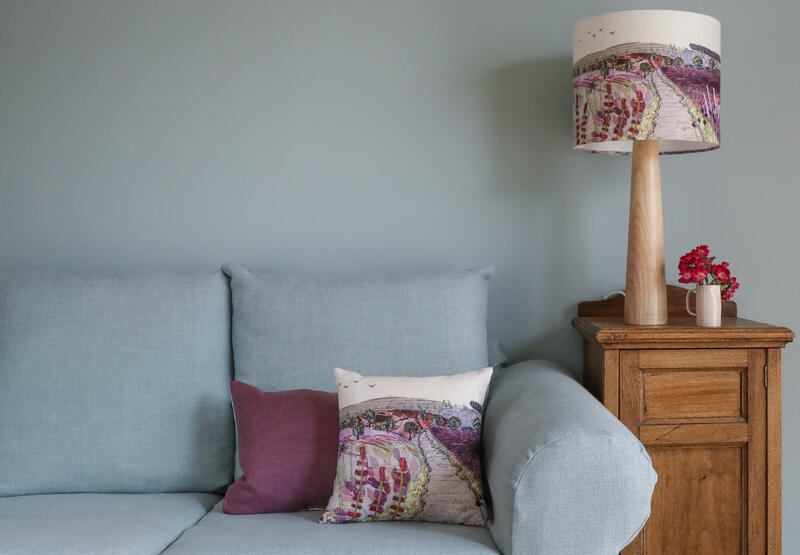 This beautifully soft cushion is a high-quality print on fabric of Jo's original Cannock Chase design in stunning pinks, purples and greens. 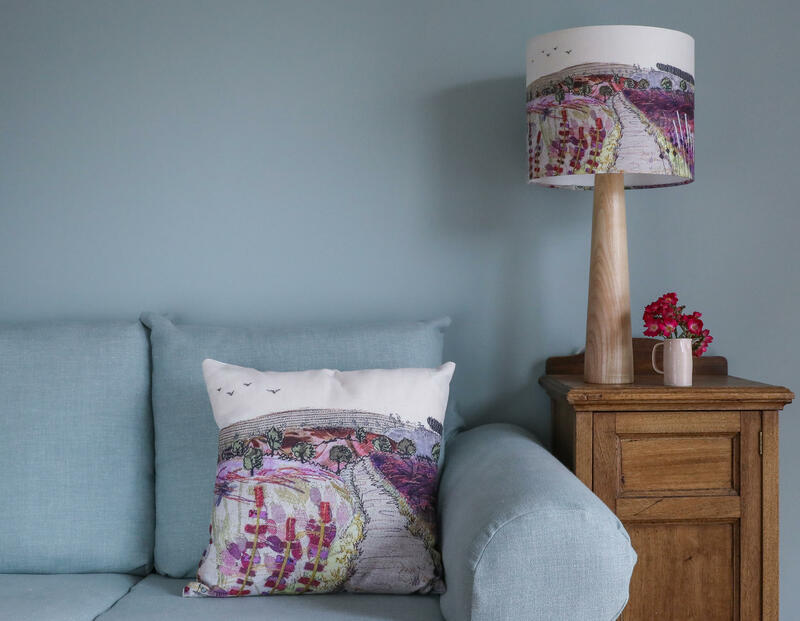 It is an excellent reproduction of her original embroidery and is the perfect reminder of this popular countryside destination. 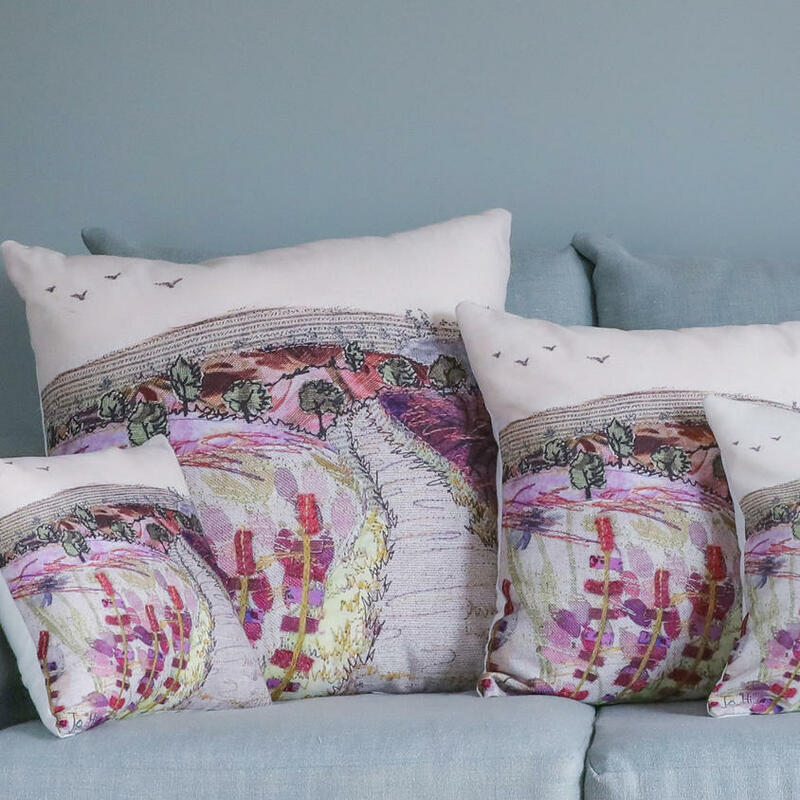 Jo created the original handmade piece using her unique style of free-motion embroidery. 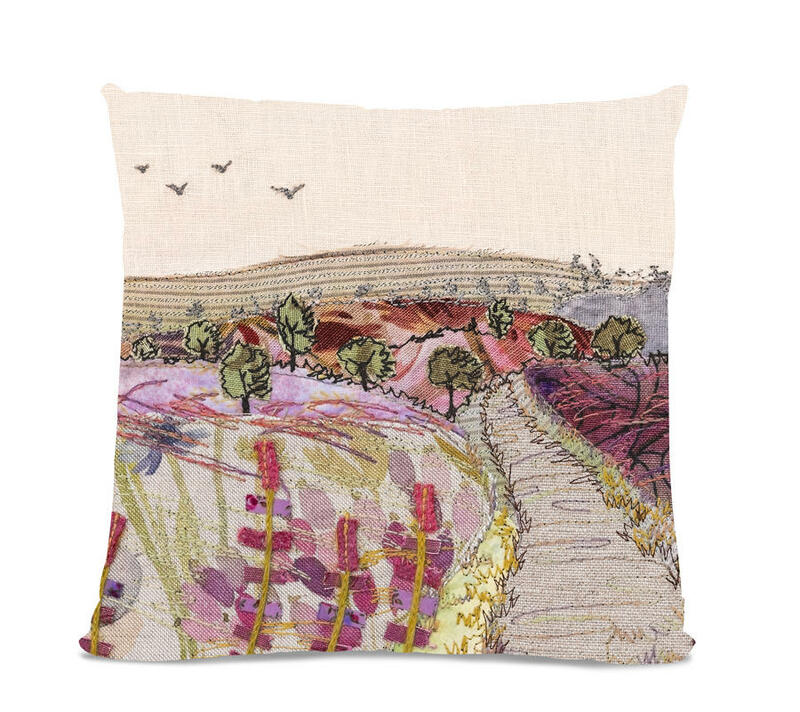 The gorgeous colours of the heather and grasses were recreated in appliqué and stitch. 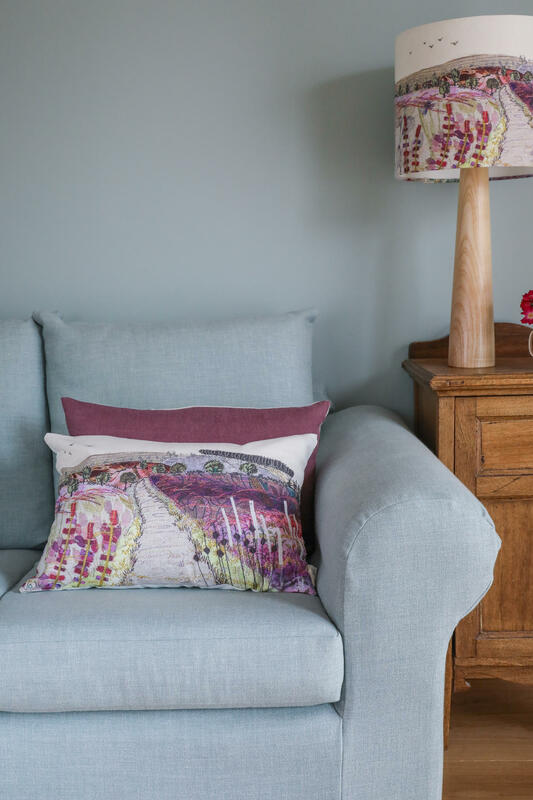 This is a beautiful way to bring a little bit of nature into your home!